If you crave your independence but still desire a secure, community-oriented environment, then senior independent living apartments may be the perfect choice for you. These independent living communities for seniors are typically designed for those ages 55 and up, although some communities set the minimum age limit at 62. 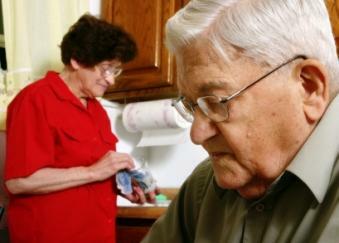 Independent living provides many social opportunities for seniors. Depending upon the facility in which you live, you may have access to numerous supportive services, such as laundry and linen services, local transportation, and a variety of social services. There may be organized activities, such as exercise classes, sports activities, and cultural programs. In some cases, group meals may be served once or twice a day as well. In order to participate or live in an independent setting, you must be self-sufficient and you must not have serious health issues. Independent living facilities include retirement homes, retirement communities, senior housing, and senior independent living apartments. Once you become more dependent upon custodial or medical services and/or care, it may not be possible for you to live independently, and other arrangements may need to be made. Are Senior Independent Living Apartments Right for You? Are you self-sufficient and able to care for yourself? Do you have a desire to live independently? Will independent apartment living fit into your budget? Do you want the freedom of living alone without the high maintenance of a house? Do you crave a community-focused environment? Are you able to communicate with others for your own benefit? Can you live day-to-day without the need of on-site doctors or caregivers? If you can answer "yes" to most or all of these questions, then independent apartment living may be perfect for your needs. An apartment will provide you the space and independence you need without the added stress of caring for a yard and the general maintenance and repairs that are associated owning or renting a home. These apartments may be duplexes, converted larger homes, or apartment complexes. Apartments typically include kitchens, living areas, a bathroom, and at least one bedroom. They may also offer other features, such as handrails and other assistive devices. While apartment living can be expensive, you may be able to qualify for subsidized living aid from the U.S. Department of Housing and Urban Development, or HUD. However, keep in mind that waiting lists for this type of housing can be long. 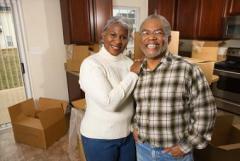 Here are some factors to consider in your choice of an independent living apartment. What security or safety features are offered? How safe and convenient is the apartment complex? Is parking available and convenient? Is the perimeter of the complex well-lit and secure? Do you need a downstairs apartment? How much storage space is available in the apartment? Do you need a one or a two bedroom apartment? How far away is a medical facility? Is the apartment complex close to family members? Many senior apartments offer a variety of features, although some of these services are optional and may cost extra. Finally, the price of living in an independent apartment can vary significantly depending upon the level of services, amount of amenities, and whether or not the facility is federally subsidized. Also, keep in mind that high-end apartment living often involves the actual purchase of the apartment.